Here’s an amazing summer cut, that’s full of life and colour! 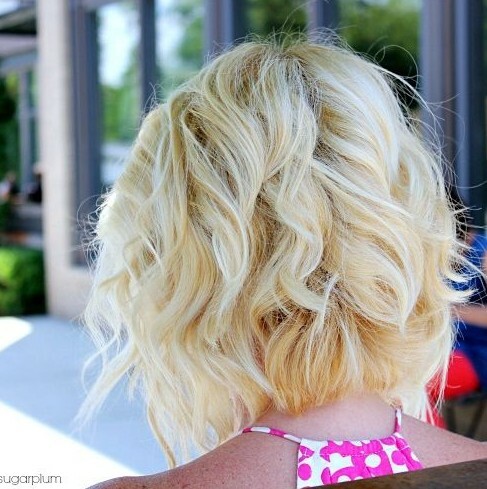 This blonde wavy bob is cut to a point below the chin and the hair is almost all the same length. Then, as an alternative to the beachy waves that everyone wears, this style has defined strands and spiky random twists for a fresh, new look. And underneath all that blonde glamour, the dark roots mean this style is totally edgy! I love this vut so much, how about you?